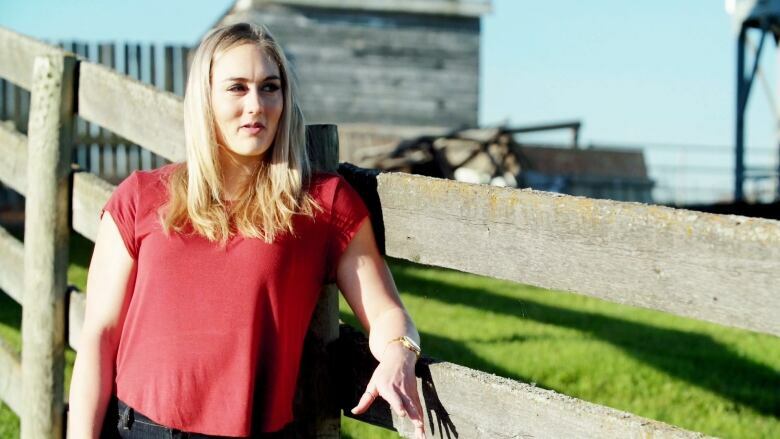 Growing up on a farm has laid a good foundation for sport and life for the two-time bobsled world championship silver medalist. The two-time bobsleigh world cup silver medalist, who recently added a gold medal to her collection at the first stop of the season in Lake Placid, N.Y., grew up in the small, rural community of Barrhead, Alberta. This is the place where the foundations for Lotholz's bobsledding career began - all with a shiny red toboggan. Lotholz's roots run deep in the community, it's a place where she spends time with her family and friends and reconnects with her church and faith. Barrhead earned it's name because the application for the towns first ever post office, in 1914, required a name and one of the areas early settlers, James McGuire, decided to pay homage to his hometown in Scotland. A blue heron is the towns official mascot, it is often spotted along the shores of local lakes. There is also a large statue of "Aaron the blue heron" at the centre of town. Notable NHLers include: Alan May, a forward who played for four different teams between 1987-1995. And Leland Irving, a goalie who played from 2011-2013.